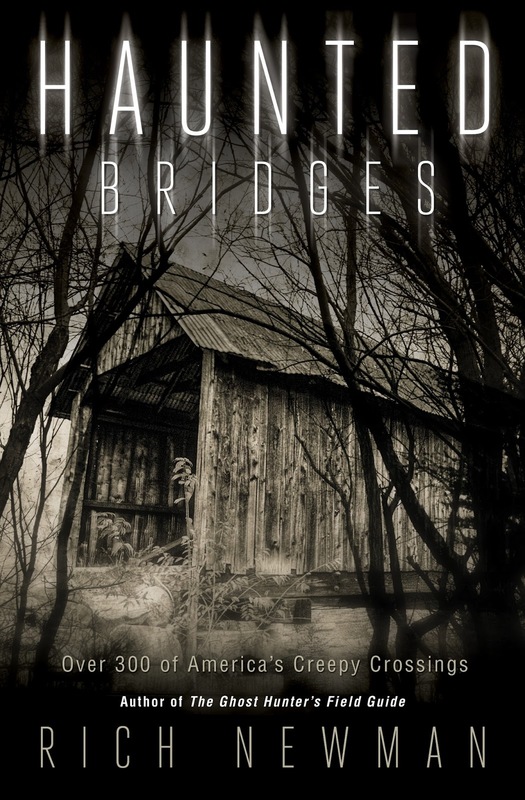 Rich's new book, Haunted Bridges, is now available at book sellers nationwide. Check it out on Amazon at this link. If you want to hear more about the book, as well as what's happening with Paranormal Inc, listen to The Paranormal View tonight (Oct 8) at 7pm EST. You can catch it on their official website. You can also catch Rich's appearance on the Paranormal Underground podcast here at Podbean or by checking out the podcast on iTunes. Stay tuned to this site for more info about upcoming events with Paranormal Inc, and to check out the new case files that will be hitting here next week. 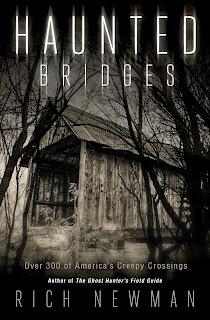 Rich's new book, Haunted Bridges, is due to hit shelves Sep 8. If you read his previous book, The Ghost Hunter's Field Guide, then this book is right up your alley! 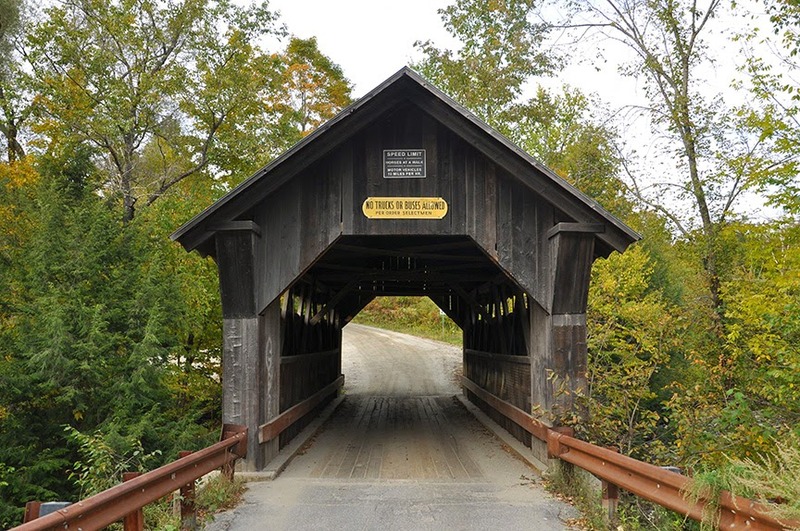 It lists over 300 haunted bridges located throughout the U.S.A. It should tuck nicely into your investigation bag and provide you with tons of new haunted spots to check out. While we took a hiatus of sorts, it's not completely accurate to say there were no investigations... Members of the team were working with Fuji TV for a haunted television program featured in Japan, so new locations were indeed visited and investigated. So look for a few new case files (and evidence) to be posted very soon. New cases include the infamous Queen Mary, the Grand Geiser Hotel in Baker City, Oregon, and a couple new haunts in the wonderful city of New Orleans. We take a break, the podcast takes a break. That's just the way it goes. But that has already changed for the better! Look for new episodes of the podcast to hit the website (link to the podcast is located in the sidebar) as well as iTunes. While we have had the documentary Ghosts of War posted online for a while now (split up into fifteen minute 'episodes'), we held the best episodes for last. Look for the final two segments--featuring the awesome Deason House in Ellisville, MS and Octagon Hall in Franklin, KY--to appear on the official GOW Vimeo channel soon. Episode One: The Eldred House is posted below for your view pleasure. In addition to all this, Paranormal Inc will be getting involved with more haunted conferences this year, as well as new and exciting Halloween events, so stay tuned for those. We would love to see you all at these appearances, so stop by and say hello! As always, if you have any questions for us, or just want to drop us an email, do so at info@paranormalincorporated.com. GOW Episode 1: The Eldred House from Rich Newman on Vimeo. It's time for some new investigations! We are actively seeking new locations, as well as other regional paranormal teams, to feature on our site. 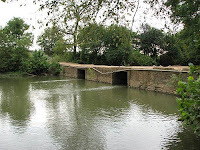 If your team has a good location to investigate, give us a shout. We'll partner up and make a good time of it. Reach us directly at info@paranormalincorporated.com and we will get back to you ASAP. It's been a slow last year for us (paranormally speaking), but this will be changing in 2015 so stay tuned! With Halloween coming again fast, it seems only right that Paranormal Inc will be hosting tours at the best haunted bed and breakfast in Tennessee again! This year, we will be hosting the tours on Friday, October 17 and Saturday, November 1. Visit the website for Magnolia Manor to reserve your spot on any of the dates listed for tours this year. But be warned: tickets/reservations go fast! 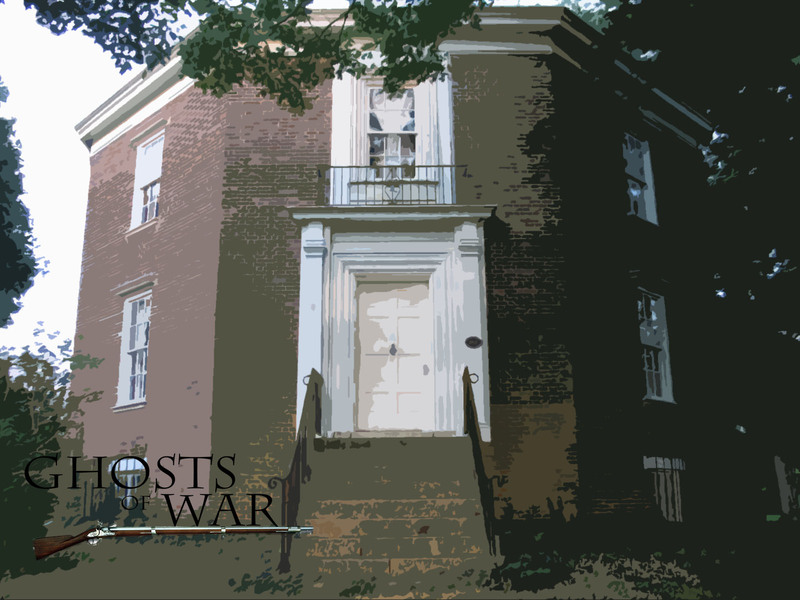 In the meantime, check out the Magnolia Manor episode of Ghosts of War--it'll warm you up for your haunted tour! And stay tuned--Paranormal Inc is back at it again with investigations, overnights, and new articles coming your way very soon! GOW Episode 2: Magnolia Manor from Rich Newman on Vimeo. In addition to planning our fall/winter of the usual ghost hunting trips, we have a lot to be excited for in Paranormal Inc! Ghost Tours! We will be hosting several ghost tours at a couple wonderful, haunted locations this year. We will be at Magnolia Manor on Friday, October 18 and November 1st--and we will be the hosts of this year's Haunted Happenings event at the Woodruff Fontaine House on Friday, October 25! Both properties have their own unique stories, architecture, and type of entertainment, so we hope to see you at both! Tickets to the Magnolia Manor tours need to be purchased in advance on their website. More Ghosts of War! With three of the six episodes now available to stream for free on the official Ghosts of War Vimeo channel, three more will be hitting over the Halloween season: Octagon Hall in Franklin, Kentucky, the Minton House in Cape Girardeau, Missouri, and the Deason House in Ellisville, Mississippi. All three will feature evidence gathered during our investigation, as well as interviews with folks at the actual sites. More Paranormal Inc Podcast! Our fourth and fifth podcasts will be hitting VERY soon--and you will notice that the production value of the podcast will increase significantly with the 6th episode. We decided to try out five episodes to see if it was 'working,' and we are happy to say it is! So all episodes after the fifth will be recorded with better quality and produced with more music, bumps, etc. Listen to our podcasts right here (link is in the sidebar) or download them through iTunes. The Ouija Experiment! Yep, another Paranormal Inc movie! It's in the works and we are lining out the details now. The film will feature all new locations and will test the idea that Ouija boards cause crazy things to happen in haunted places. So be prepared to have some fun watching this one! There are also a couple more surprises in store for the Fall, but we will wait until we are a little bit closer to Halloween to reveal those. In the meantime, we hope to see you at the tours and keep watching and listening!